A new limited edition celebrating Rose Goldea first anniversary created in collaboration with Chinese artist Jacky Tsai. A daring creativity conveying the western pop art and the eastern artistry. A precious feminine eau de parfum inspired by seductiveness and fascination of Cleopatra. 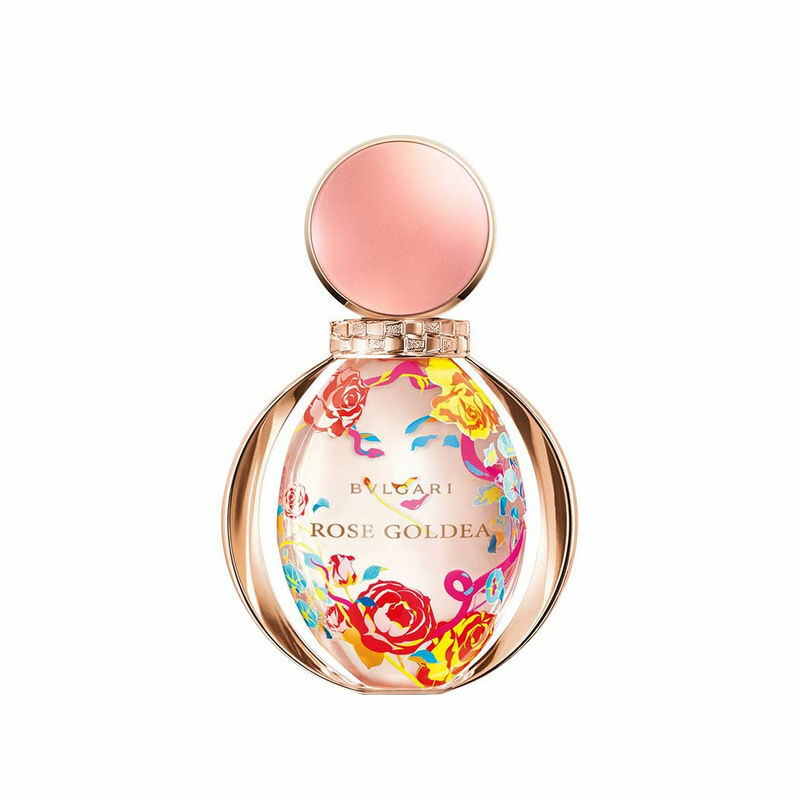 Rose Goldea limited edition by BVLGARI is a tribute to beauty and femininity combining radiant rose and sophisticated musk notes. An homage to gold and femininity inspired by the Goddess of gold, and the beauty of the Sun, 'Rose Goldea limited edition' beauty is reflected in the softness of rose petals. Alberto Morillas signed this feminine composition focused on the tantalizing scent of pomegranate combined with aromas of rose and jasmine. Pomegranate opens Rose Goldea at the top of the composition. As the fragrance develops, the emphasis is on the Damascus rose absolute and jasmine grandiflorum, supported by musk, creamy sandalwood and olibanum. The smell is very expressive, with a distinctive oriental aroma. Explore the entire range of Perfumes (EDT & EDP) available on Nykaa. Shop more BVLGARI products here.You can browse through the complete world of BVLGARI Perfumes (EDT & EDP) .